Epic Cycles e-bike products and scooters make it convenient, affordable and fun to get where you need to go while minimizing your impact on the environment. Designed with safety, innovation and ease of use at the heart of every model, we produce only the best, industry-leading scooters and e-bikes Toronto customers can feel good about riding. Have a bike you love and want to make it even better? 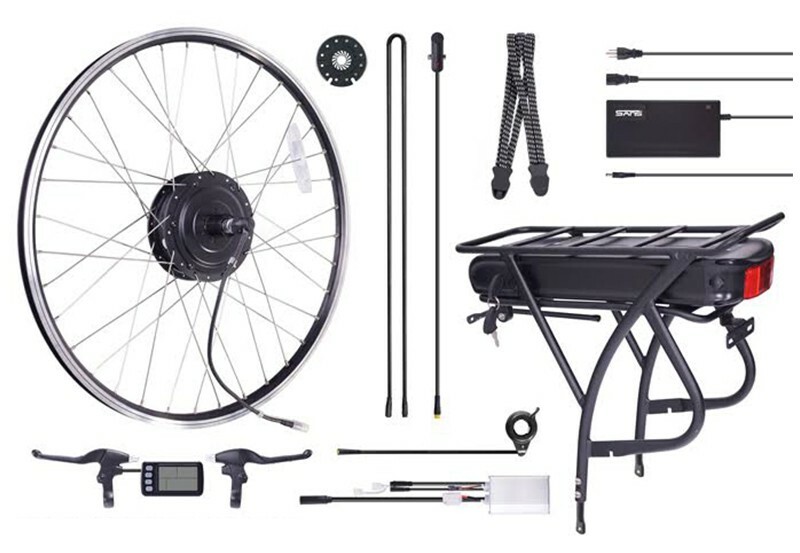 Epic Cycle’s conversion kits take your old bike and give it the power of an electric model for a fraction of the price! Damaged or broken pieces? Get your bike running like new with our premium selection of spare and replacement parts. All the cool things you expect from Epic Cycles but at a discount! 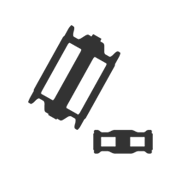 Check our sales section frequently for the latest and greatest deals. Meet the newest members of the Epic Cycles family, including bikes, upgrades, parts and more. Why Choose Electric Scooters and E-Bikes in Toronto? 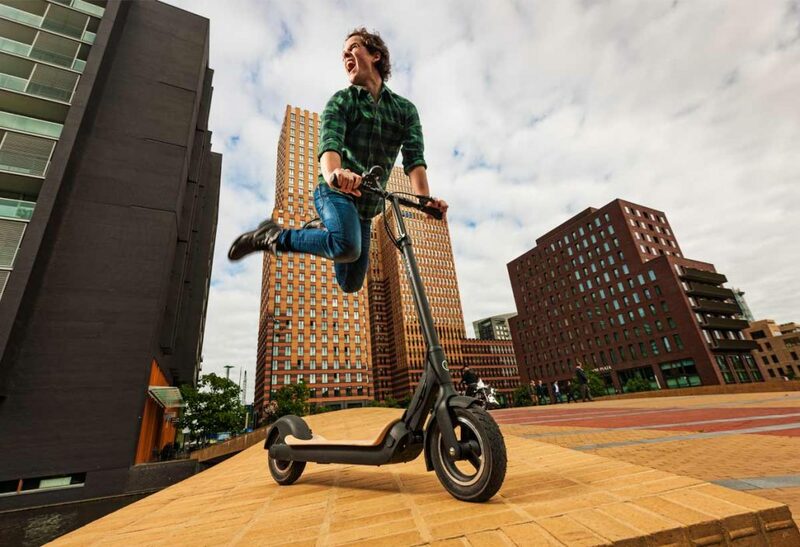 Whether you’re in the heart of a metropolitan area or you live far outside the city, electric scooters and bikes offer unique opportunities and benefits. By motorizing these modes of transport, you get many of the benefits of traditional bikes but the convenience and speed of electricity. 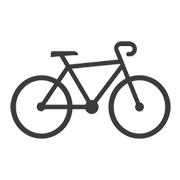 With an e-bike, for example, you get the benefits of pedaling and being outdoors but going much faster than you would if you were relying exclusively on your own leg-power. Additionally, an electric scooter or e-bike saves you money and reduces your carbon footprint. 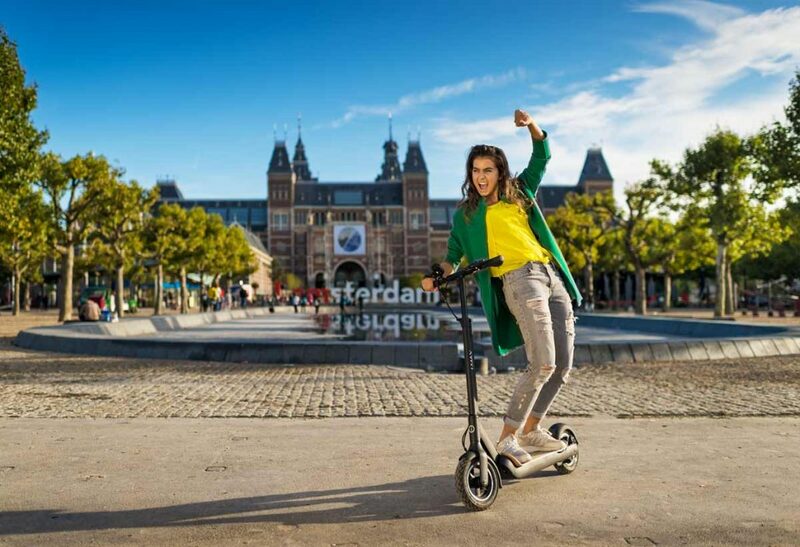 Electric bikes and scooters also help you get around crowded cities more easily than if you were in a car and they can be taken on public transportation for even more options for travel. 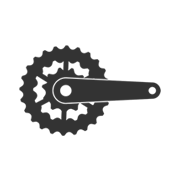 Epic Cycles is committed to creating only the best quality e-bikes. 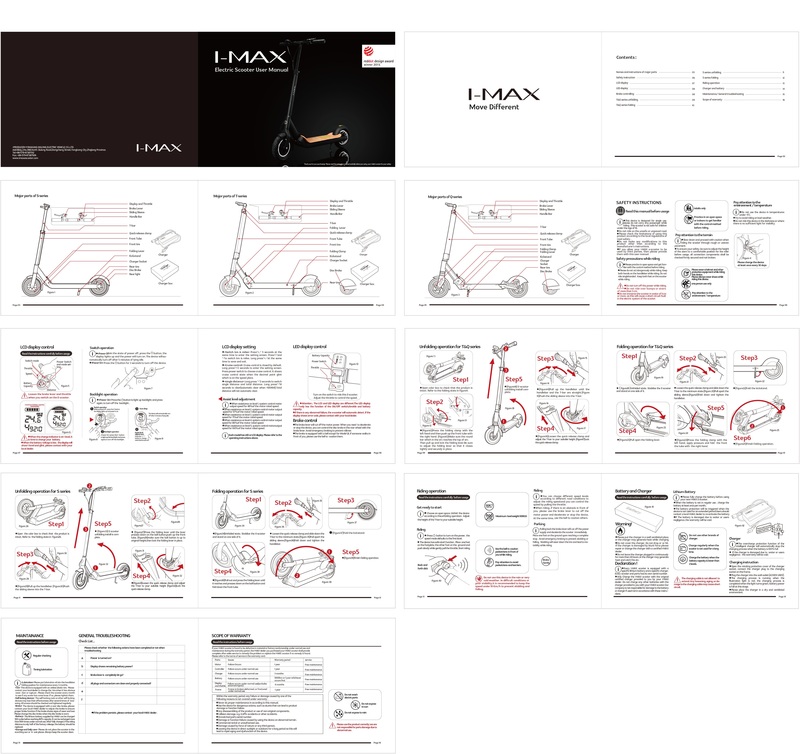 Toronto customers can depend on our catalogue of e-bike models to meet their needs for higher speeds, faster charge times and longer maximum distances. We consistently invest back into our company, production and design to bring you the best innovations and safety features in the industry. 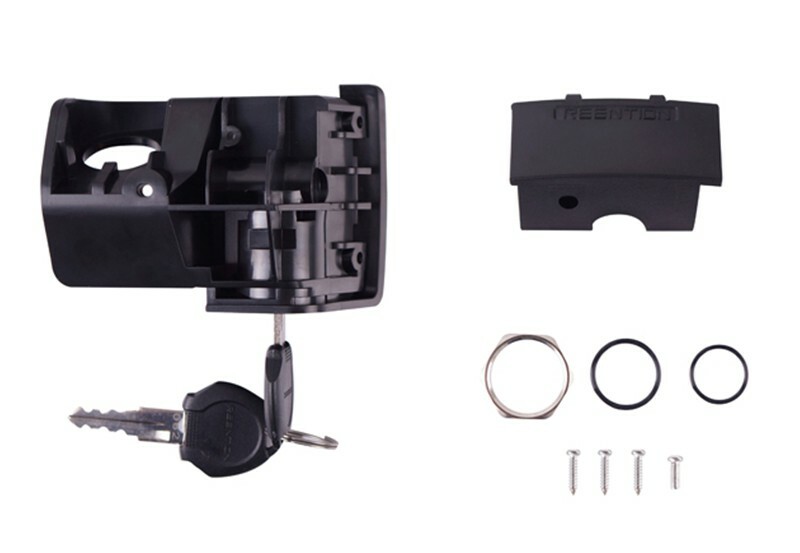 Transform the bike you love into an e-bike with our convenient, do it yourself conversion kit. Whether you choose an electric bike or a kit, will come down to a few factors: cost, preference and space. Finally, if you plan to keep your traditional bike no matter what, space could be a consideration. 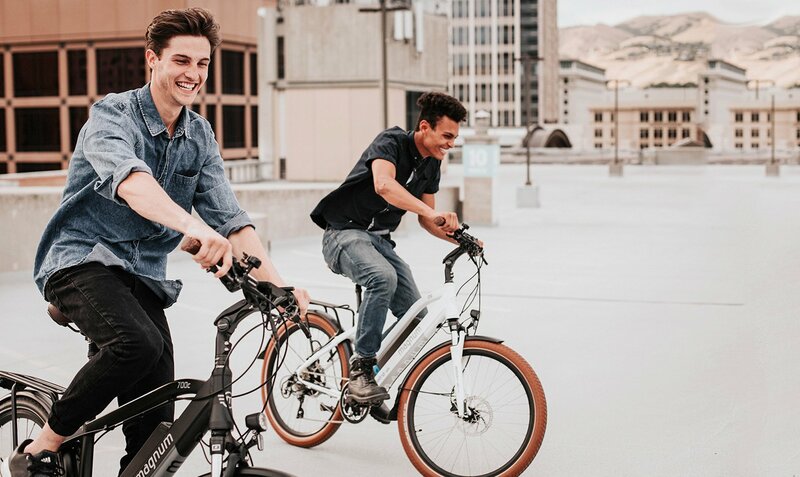 If you only have room for one bike, then the electric bike kit makes sense since it will allow you to keep your bike and get electric capabilities. 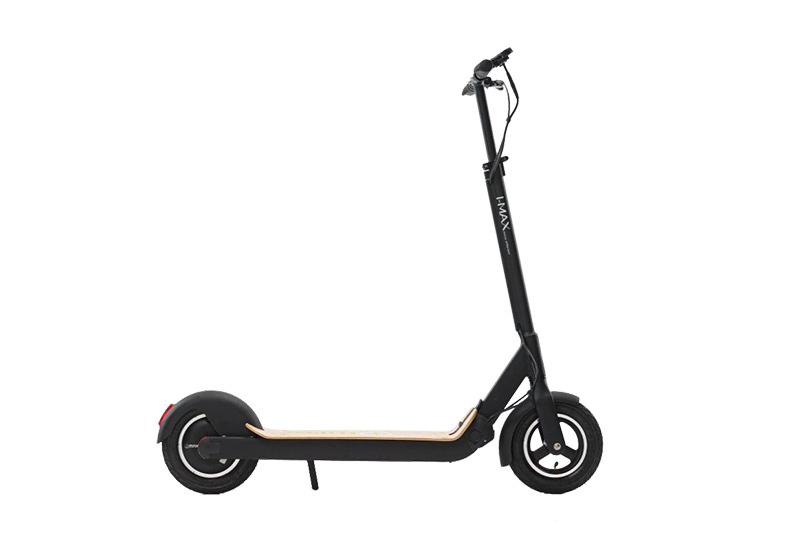 Because of their slim design, electric scooters are easier to maneuver around crowds and other objects, which is another reason they can be used on sidewalks. With weights under 40 lbs. 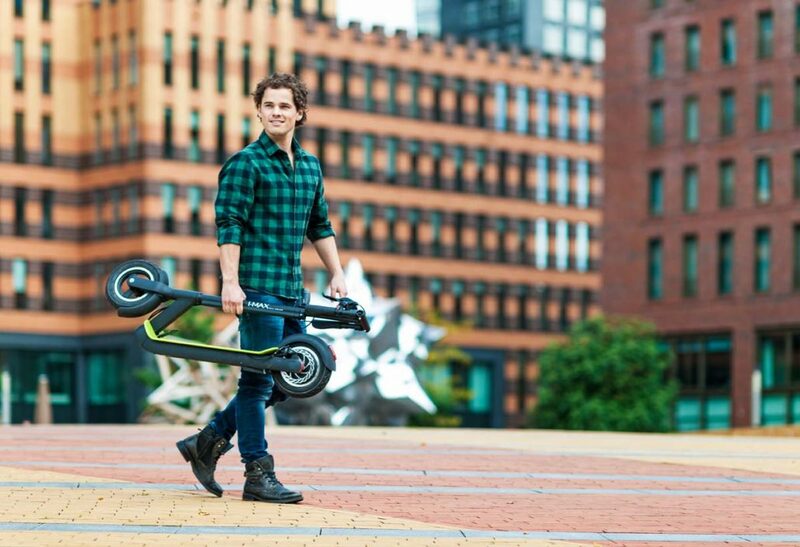 and foldable frames, scooters are even easier to store and charge in tight spaces. This also makes them easy to take on buses and the subway when needed. 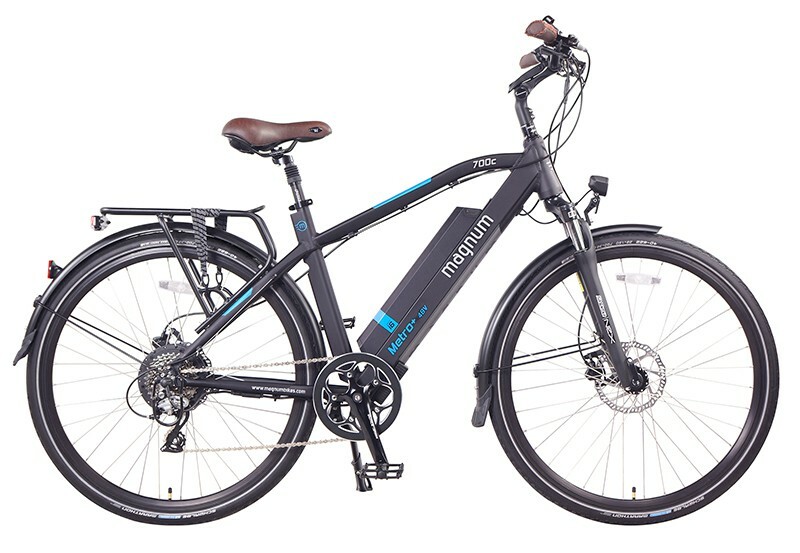 To make the benefits of the e-bike available to more people, Epic Cycles has designed a variety of e-bike models available at a range of price points to suit most budgets. We combine quality craftsmanship with industry-leading technology and green production methods to create e-bike designs that are as fun to ride as they are energy and cost efficient. Depending on the model you choose, your Magnum e-bike could reach a top speed between 20 and 28 MPG. To put that in perspective, a car averages around 18 MPH for city driving. Toronto residents should be 16 years of age to operate an e-bike in most situations. Other provinces may vary and can be as low as 12 or as high as 18. The model you choose will determine this, but most Magnum models get a full charge in just 4.5 to 6.5 hours. 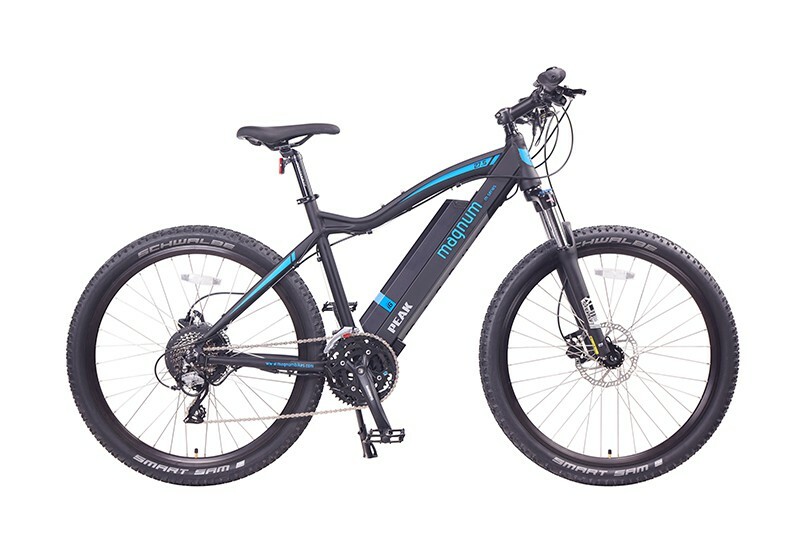 How to properly take care of my electric bike? 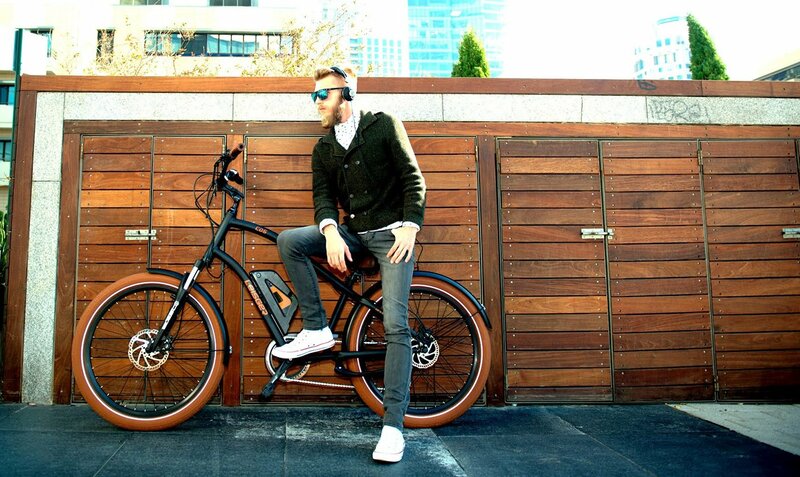 Most of the maintenance work for electric bikes are very similar to regular bikes. Yes, and you get some cardiovascular exercise in the process. 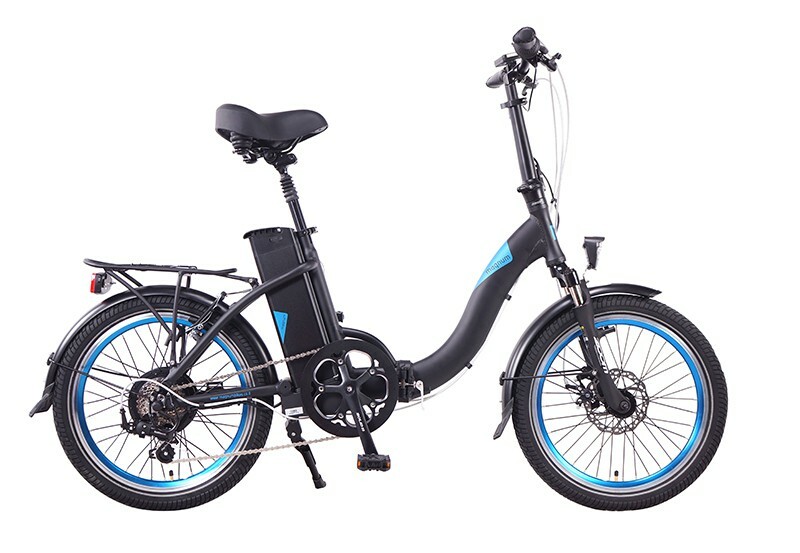 However, an e-bike makes peddling much easier and many of our models come with throttle mode to assist you when going uphill or against heavy winds. Toronto’s varied landscape will determine how far you get on a charge in many cases. Just like with a car, the rougher the terrain and the more stop and go travel you have to do, the less miles you will get from a charge. However, in most cases, you can count on a bare minimum of 20 miles but many of our models are capable of 60 on a single charge. Ready to change the way you travel, save money and save the planet in the process? Start by looking through Epic Cycles’ catalogue for the scooter or bike that suits your needs. 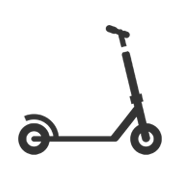 Or, use our easy contact us form to get in touch with a knowledgeable Epic Cycles representative.